Iron Mountain is a tech company that provides data storage, data backup and secure shredding services. The company has consistently been one of the top in data management in the U.S. for many years. Iron Mountain had 4% growth in storage rental in 2015 and has a compounded annual growth of 4.4% since 2011. Currently, their stock value is trending upwards. This makes them a great company to buy stocks in, as long as you are not interested in how to get rich quick. If you are an investor, consider some of these reasons for why you should invest in Iron Mountain stock. Iron Mountain specializes in data management. They provide backup, storage and maintenance services. They also provide efficient office paper shredding services. The business has over 150,000 clients, 95% of whom are in the Fortune 1000. Iron Mountain has locations worldwide, totalling nearly 67 million square feet of land. The company maintains standards through secure, cost-effective document and media storage. Additionally, they pride themselves on avoiding data collapses and recovery. The business has maintained their status as one of the best data management companies in the U.S. for over 20 years. Iron Mountain stock has grown continually throughout those years. As a result, they are a reputable and safe company to invest in at this time. 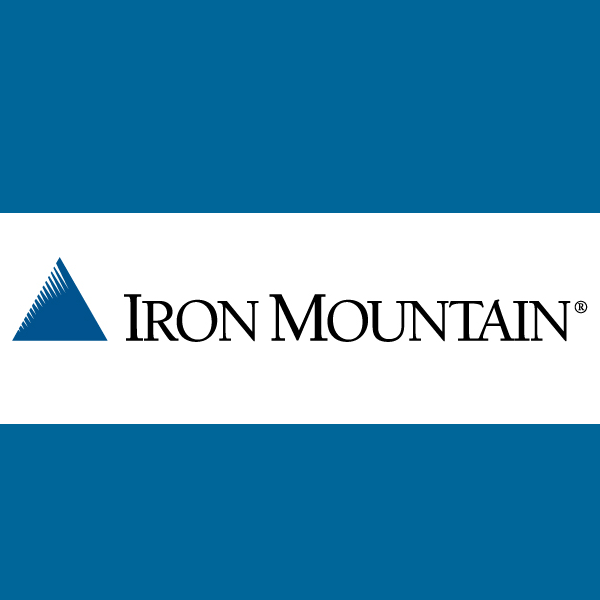 Iron Mountain is a real estate investment trust (REIT). This means that it receives preferential tax treatment on its profits and probably carries a real estate insurance policy. That is, as long as they pay out 90% or more of those profits annually in dividends. Some payouts qualify for preferential tax treatment that lowers investors’ cost basis. What this means for investors is that you get to keep more of your income and use it towards an endowment fund if you would like to. High dividend yields mean more money going toward shareholders. With an already high yield of 6.75%, it is not uncommon for investors to see payouts of 5% or more. This is one of the main reasons to invest in Iron Mountain stock. Storage facilities are one of Iron Mountain’s defining assets, similar to Cash Crate. They are a safe type of real estate because they have relatively low maintenance and turnover costs. This is a result of their storage needs being incredibly simple. There are no changes to this coming in the foreseeable future. The company also has a high tenant retention rate. Even if their retention rates were lower, they do not need to maintain a high occupancy ratio to stay profitable. These traits are inherent in Iron Mountain’s business model. It is part of what makes Iron Mountain stock a sound investment option. Iron Mountain has seen steady revenue growth in the last 26 years. Similar to the Intuit stock, the last 5 years in particular have seen a growth of about 4.4%. The business plans to double their revenue in the next five years by increasing presence in emerging markets. Through this, they hope to increase their returns on invested capital by 14%. Iron Mountain also plans on growing their revenue by nearly 20%. They have a very high dividend yield of 6.75%. Because of their recent acquisition of Recall, the company anticipates their dividend to increase to $2.18 per share. This is a 14% increase from their 2015 valuation. Their current situation is respectable, but their future plans for growth are even greater reasons to invest in Iron Mountain stock. You should also be concerned about current sentiment regarding Iron Mountain Stock. This refers to whether the market experts view an IRM investment opportunity as bullish or bearish. Currently, Iron Mountain Stock sentiment is entirely bullish. What exactly does this mean? Simply put, it means that investment experts believe that IRM stock prices will continue to rise. This makes the stock an incredible choice to buy now, while costs are still relatively low and on the rise. Iron Mountain stock has high dividend yields that currently exceed 5%. Their status as a real estate investment trust allows them to reap the benefits of preferential tax treatment. This is beneficial for investors like you because it lets you keep more of the money you earn, unlike Wealth Engine. Future business plans include several large moves that might increase Iron Mountain’s revenue by 20% in the next five years. Due to all of these factors, Iron Mountain stock is currently one of the best investments. Evaluate the reasons in this post carefully and consider buying Iron Mountain stock.